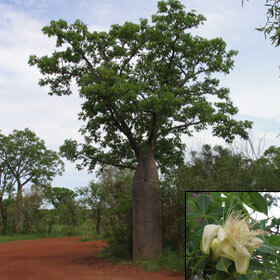 The Boab trees of WA are solid dependable water trees. Elephant like in their family groups. These trees are revered by the Native peoples, not only for the trees bounty but also for ceremonial purposes. Linked in myth with the spectacular termite mounds of the areas around the Boabs. The mounds sometimes meters high are grounding, balancing and working with the land energies in harmony with the trees. Sacred.